Facebook Inc. said it’s making major changes to its flagship social network, shifting users’ news feeds back toward posts from friends and family and away from businesses and media outlets — a transition that is likely to mean people spend less time on the site. The shares tumbled the most in more than a year. In a post Thursday, Chief Executive Officer Mark Zuckerberg said community feedback has shown that public content has been “crowding out the personal moments that lead us to connect more with each other.” The goal of the product teams will be to help Facebook’s more than 2 billion monthly users find content that will lead to more meaningful social interactions, he said. Facebook and companies from Twitter Inc. to Apple Inc. have been confronting a mounting public backlash against technology and social media, as the public grapples with a constantly connected life in which they are exposed to fake or biased news, cyber bullying and even internet addiction. Zuckerberg’s vision for Facebook has always been a platform for giving people a voice and a place to make meaningful connections, though he spent much of last year on the defensive. "By making these changes, I expect the time people spend on Facebook and some measures of engagement will go down," Zuckerberg wrote. "But I also expect the time you do spend on Facebook will be more valuable. And if we do the right thing, I believe that will be good for our community and our business over the long term too." Facebook’s shares fell as much as 5.5 percent, the most since November 2016, to $177.40. They were trading down 4.1 percent at 9:45 a.m. in New York. Last week, Zuckerberg said his resolution for 2018 was to "fix" the social network he co-founded. His vow followed a year that saw Facebook come under sharp criticism for contributing to a climate of extreme political polarization, the distribution of fake news and escalating privacy concerns. Last year, lawmakers berated Facebook, Alphabet Inc.’s Google and Twitter for failing to prevent Russian manipulation on their platforms during the 2016 U.S. presidential election. "This is recognition of the issues they’ve faced with toxic content," said Brian Wieser, an analyst at Pivotal Research Group. "People are frustrated with the Russia revelations and fake news and have taken it into their own hands and stopped engaging." The Menlo Park, California-based company has kept revenue growing by consistently selling more advertising in its news feed, striking partnerships with media companies to distribute their stories, and including more video postings, which draw higher ad rates. Facebook’s latest changes don’t impact ads — only business and media-oriented content posted by pages and other people, according to a person familiar with the matter. European Union competition chief Margrethe Vestager said Friday that allowing advertisers to tailor political content to personal tastes on social media such as Facebook is a danger to democracy, according to interview in Vienna’s Der Standard newspaper. In a note earlier this week, Wieser reported Nielsen data showing that in September — the most recent month for which this data is available — core Facebook consumption failed to grow year-over-year for a second consecutive month. 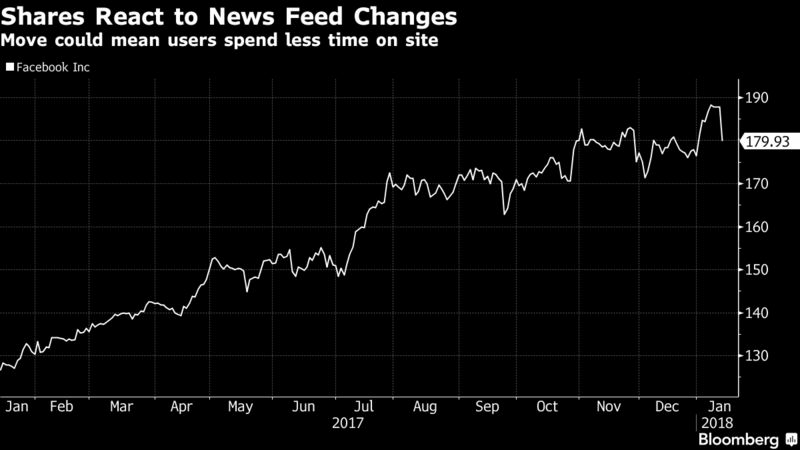 "Facebook is already experiencing declines in consumption and the company is responding with these changes today," Wieser said. "Good on Facebook — they are doing the right thing, long-term. It may not be good for the business in the short term." Facebook’s popularity and user growth have skyrocketed since its founding in 2004, when it was a sort of online scrapbook and bulletin board for college students. In the company’s early years, the news feed was a scrolling update about the personal activities of friends and family members. Months before the company went public in 2012, Facebook started featuring "sponsored story" ads in users’ feeds, and it rolled out mobile advertising that same year. Since then, annual sales have soared from $5.1 billion to an estimated $40.2 billion last year — and the news feed has become increasingly crowded with advertisements and posts from brands and publications. The changes promised aren’t entirely new — Facebook has been shifting the content on its news feed toward posts from friends and family and away from brands and publications for more than a year. With the latest change, Facebook’s algorithm will prioritize posts that spark back-and-forth discussion or inspire people to share and react. That means posts like a friend asking for advice, recommendations for a trip or an article that prompts interaction, according to a post by Facebook’s head of news feed, Adam Mosseri. A large part of brands and media companies’ strategies is to post articles and videos from their pages to engage consumers — items that aren’t considered "meaningful interactions" between people. Downplaying those posts from brands and businesses may put revenue at risk, said James Cakmak, an analyst at Monness Crespi Hardt & Co. Though the shift back to personal interaction may not mean fewer paid marketing spots in users’ feeds, any drop in engagement and attention may still translate to fewer ad dollars. Travis Parker Martin is the co-founder of Bootkik, a Calgary-based startup that attributes the majority of its growth to its Facebook presence. More than 90 percent of the education startup’s marketing budget has been spent on Facebook ads. Given Thursday’s announcement, Martin said he plans to significantly decrease that. "Only a few weeks ago, we decided that we might be better served growing our presence on YouTube. 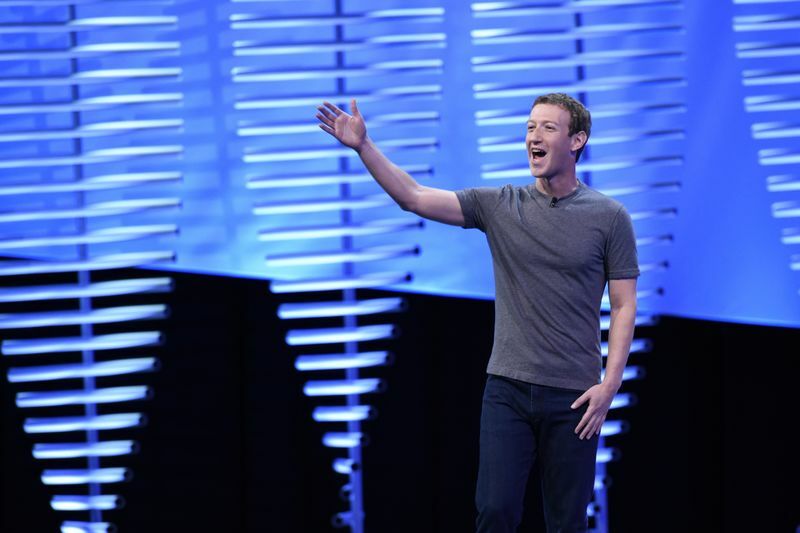 We were frustrated that the returns were diminishing on Facebook." Martin said. "This confirms that we will have to pursue other channels." Pregnant Khlo Kardashian’s BF Tristan Thompson Appears To Be Kissing Mystery Woman In Scandalous Video!